We power investment solutions in a market rapidly shifting to sustainability. 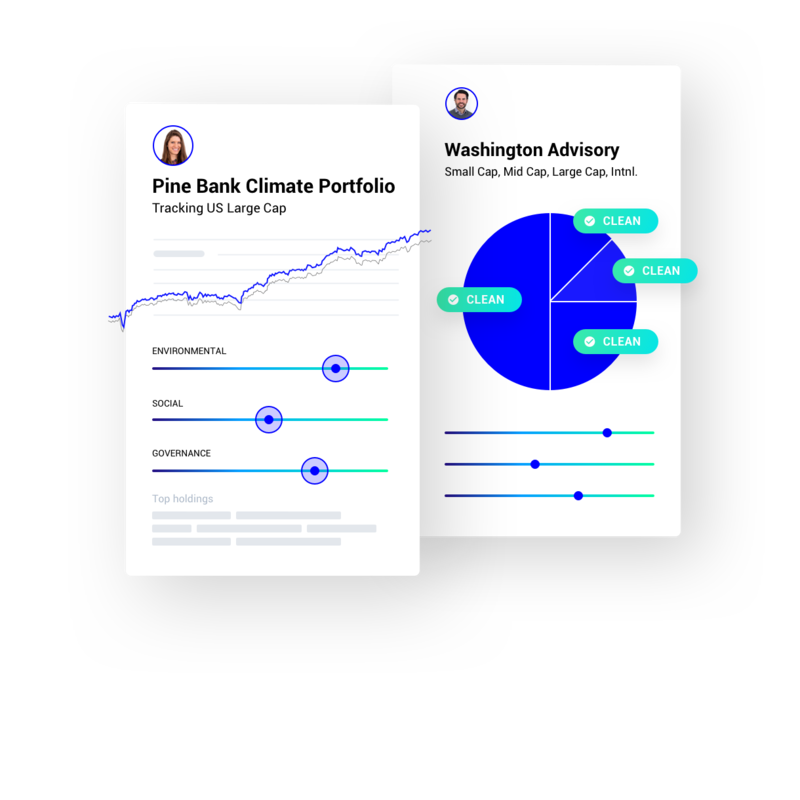 Create engaging conversations with your clients about their personal values while offering unique portfolios matched to their financial goals. 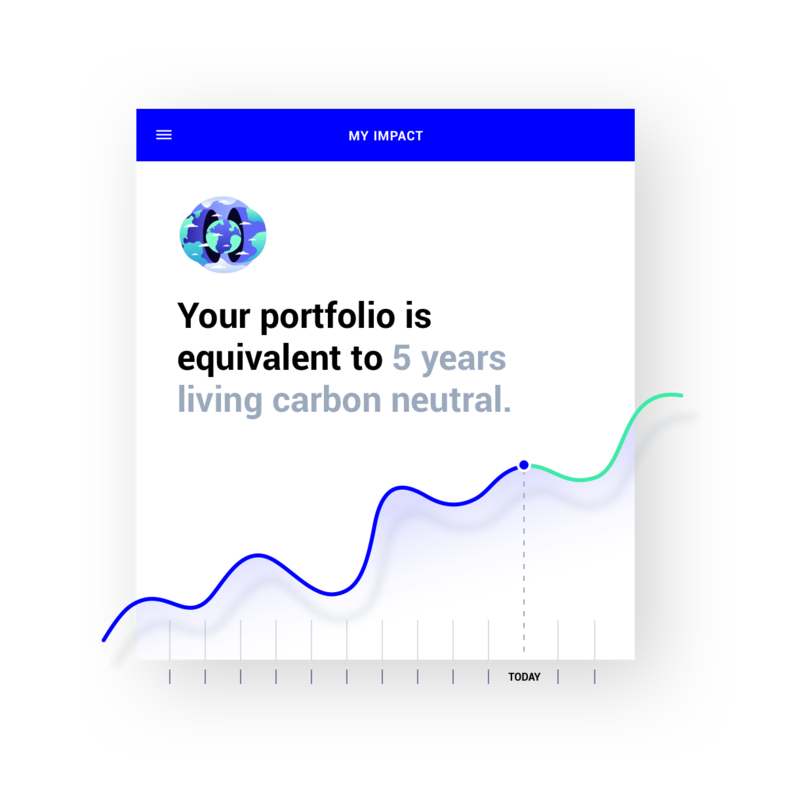 We help you create returns-driven, tax-efficient sustainable equity portfolios that align with your overall allocation strategy. Become a sustainability thought-leader for your clients, and engage them on issues that they care about. 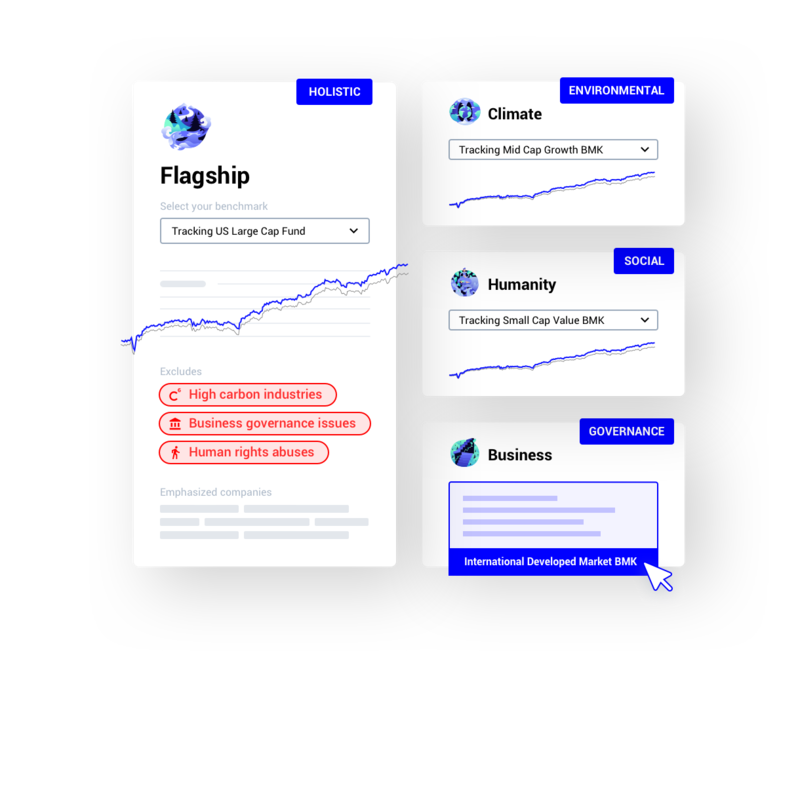 Get started simply with Ethic’s most popular thematics, which can be based on a diverse range of underlying benchmarks. 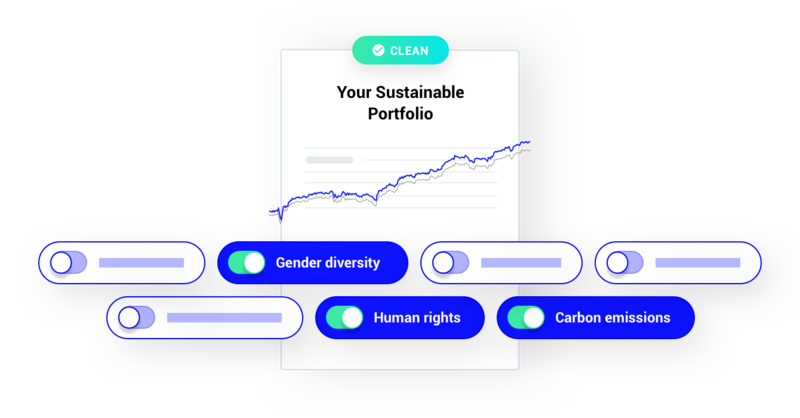 Create a custom suite of investment portfolios or allocations, built on your firm’s sustainability lens and based on a range of underlying benchmarks. 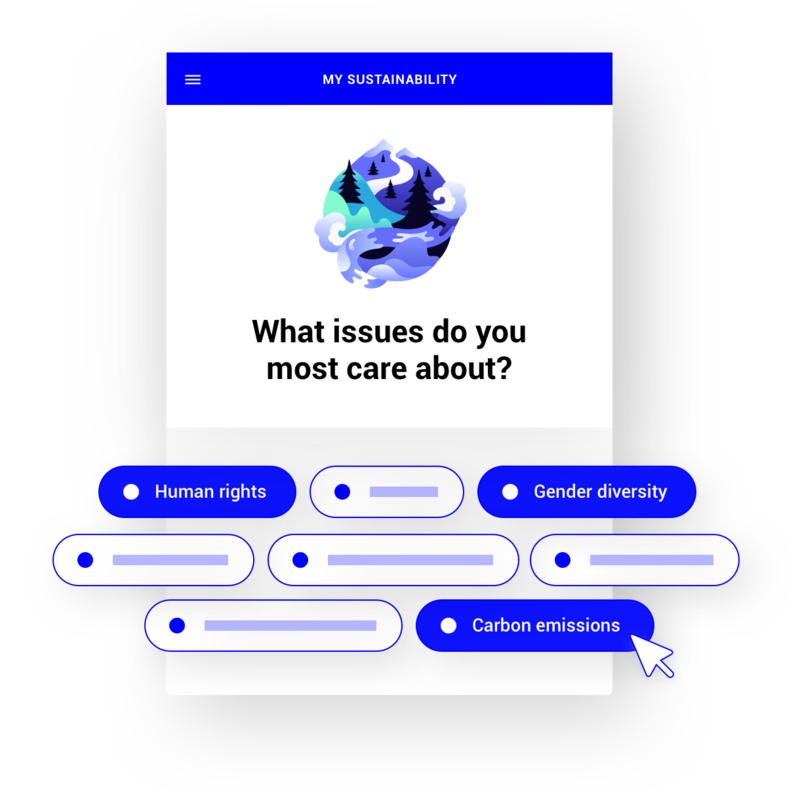 Our Sustainability and Values Exploration app empowers you to become a sustainability expert. Deepen your engagement with clients to discover what drives them. 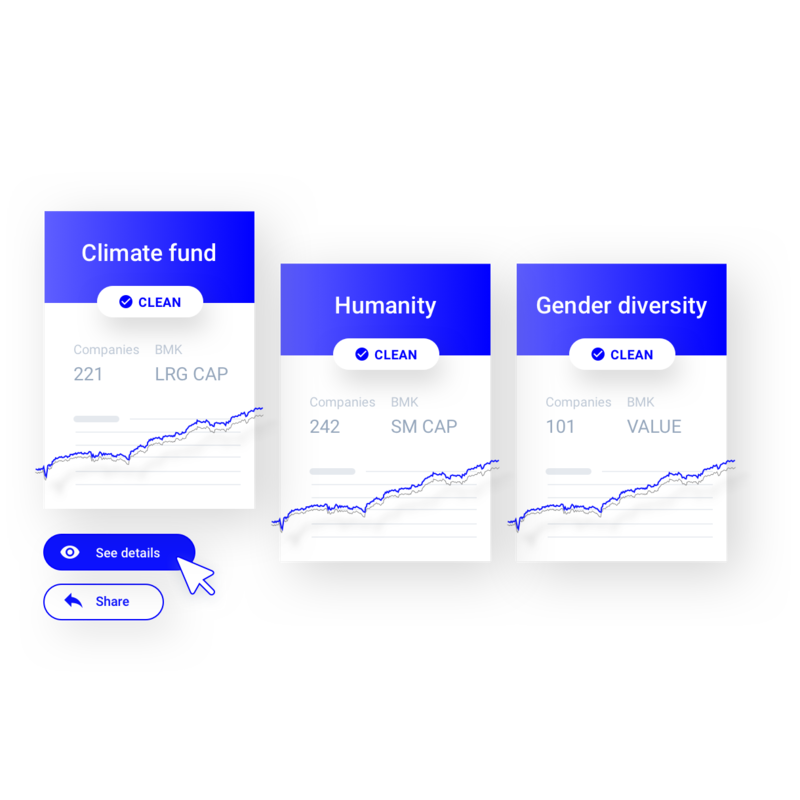 Our health-check app empowers you to provide unique sustainability insights about your clients’ underlying holdings. 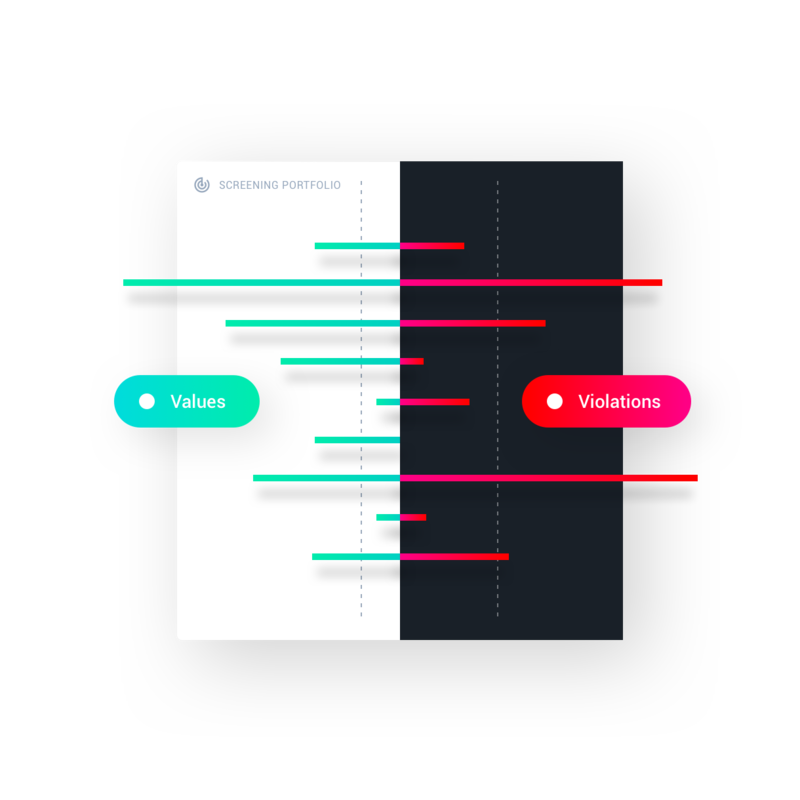 We implement institutional quality multi-factor optimization to create portfolios that minimize tracking error against underlying benchmarks. 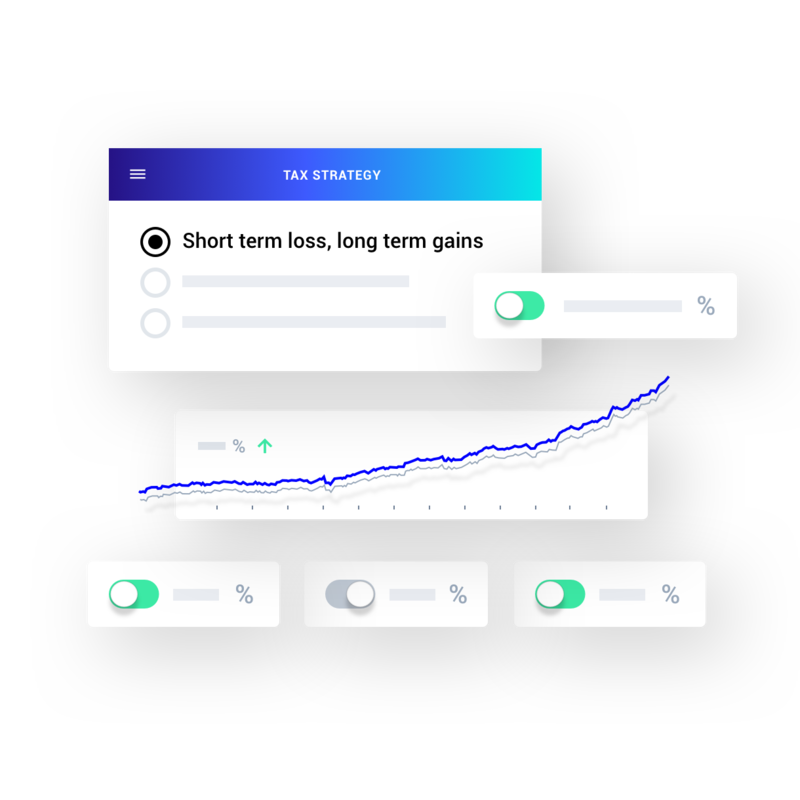 Our factor tilting also helps you create the financial exposures your clients require. We implement tax-loss harvesting optimization to improve the after-tax performance of portfolios for your clients. We empower you to engage with your clients on the issues they care about through integrated and insightful financial and impact reporting. See how your clients are outperforming on sustainability. Acquire, engage and retain clients with Ethic solutions today.